Not only do MGEVs garden to bring horticulture education to local communities, but they also offer a historical perspective through their lively education centers full of produce or heirloom roses. Through the installation and maintenance of gardens at historical sites, MGEVs are able to use their skills to bring multiple layers of education to the community. 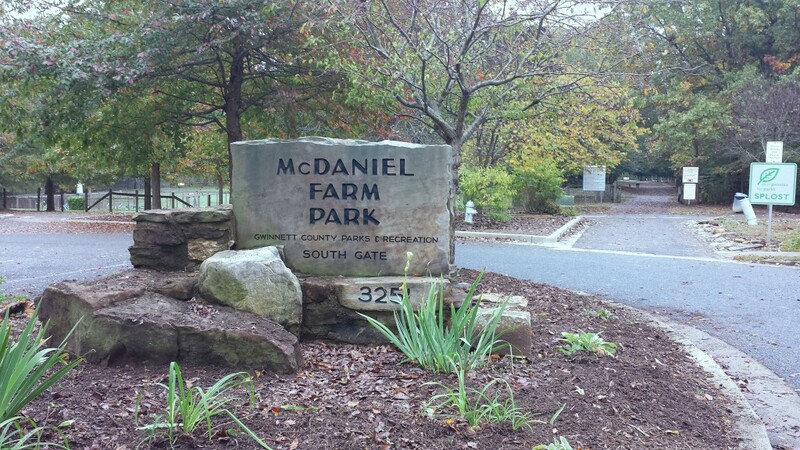 Since 2006, MGEVs of Gwinnett County have worked within McDaniel Farm Park. 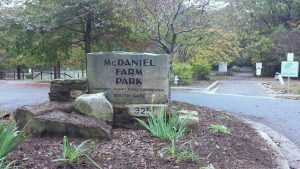 This property is considered a passive park of 132 acres that Gwinnett County purchased from the Archie McDaniel family. The park boasts a 1930s farm homestead with many walking and bicycling trails running through the property. When the park opened, MGEVs began “Archie’s Vegetable Garden” to demonstrate various types of vegetables that were typically grown in the 1930s as a food source for the family, as well as some trial plantings of new vegetable varieties. The working vegetable demonstration garden allows for produce to be donated to local food banks each year and to Annandale Village in Suwanee, a key donation site through the Plant-a-Row for the Hungry program. Impressively, the vegetable garden averages over one thousand pounds of produce each year. MGEVs and Gwinnett County Extension work with the Gwinnett County Environmental and Heritage Center to provide historic programs and summer camps. Children learn about how farms were run, discover the source of their food, and watch Civil War re-enactments. The County Parks Department helps with the beautification of the park by replacing old-fashioned existing plants with plants appropriate to this time in history. Most all is completed through hard work and grants provided by the Gwinnett County Master Gardener Association, Georgia Master Gardener Association, and various donations from the volunteers. 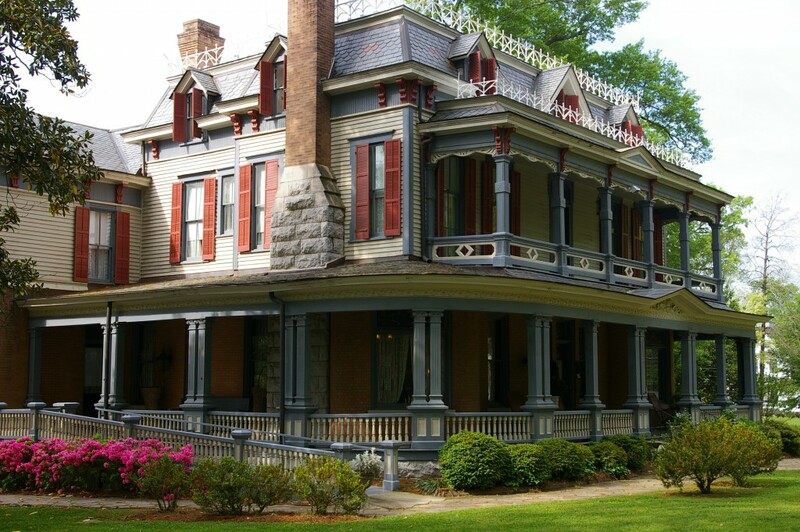 Rose Lawn is a Victorian mansion that was built in Cartersville, Georgia, in the early 1900s by Sam P. Jones, the “Billy Graham” of the late nineteenth century. Jones’ wife, Laura, developed the 4-acre estate into a beautiful garden area that featured 225 rose bushes, thus the name Rose Lawn. The estate fell into disrepair by the 1960s. In an effort to save the home for historical purposes, it was purchased by Bartow County in the 1970s. Serious effort to restore the home and grounds started in the early 2000s. 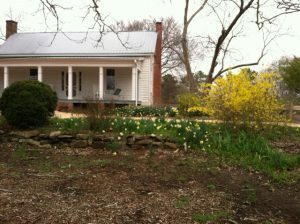 MGEVs in Bartow County provide assistance with restoration and maintenance of the grounds. In 2003, Rose Lawn’s former beauty was restored with the return of more than 200 rose bushes, the great majority of which are heirlooms originating before 1926, the year Laura Jones passed away. Bartow MGEVs are proud of a long association with Rose Lawn and their efforts to assist restoring the venue to its original beauty. Each year, two popular art festivals are held on the grounds, one the first weekend in May, the other the third weekend in September. MGEVs staff an “Ask A Master Gardener” booth at these two festivals, and also sell a variety of plants to support their restorative and maintenance efforts at Rose Lawn. 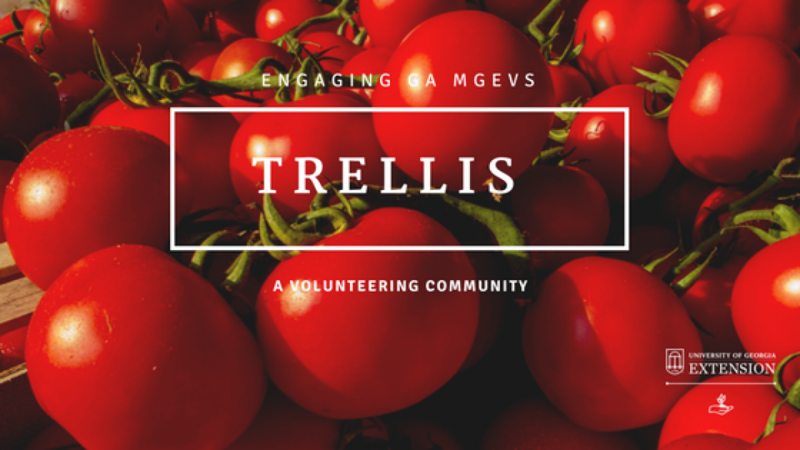 Participation in these festivals is cohesive with the MGEVs’ mission to benefit the community, provide accurate gardening information to the public, and to spread the word about the joys of gardening. Today, the Rose Lawn Mansion is a museum owned and operated by Bartow County. 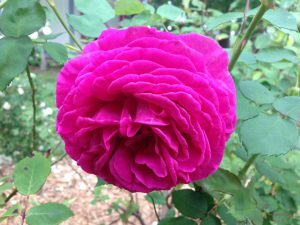 Because of the intensive work MGEVs do each year, the Rose Lawn Museum property is considered a historical demonstration garden providing community members with a perspective on the heritage of the roses and history of the site. As you can see, MGEVs leave a unique and important impression through their volunteer work. Their roles in their community are truly invaluable as they not only wear the hat of a gardener, but also that of an educator, and a historical conservationist. Did you see all of the wonderful Project Spotlights? View these two here and here. Posted in Projects, Training, Volunteering. This entry was tagged Project Spotlight. Bookmark the permalink.